That’s why today, we’re here to recognise the Top Mechanics in Geelong. In 2018, AutoGuru partner mechanics in Geelong quoted over $350,000 worth of services and repairs for AutoGuru customers, to help them better care for their cars. 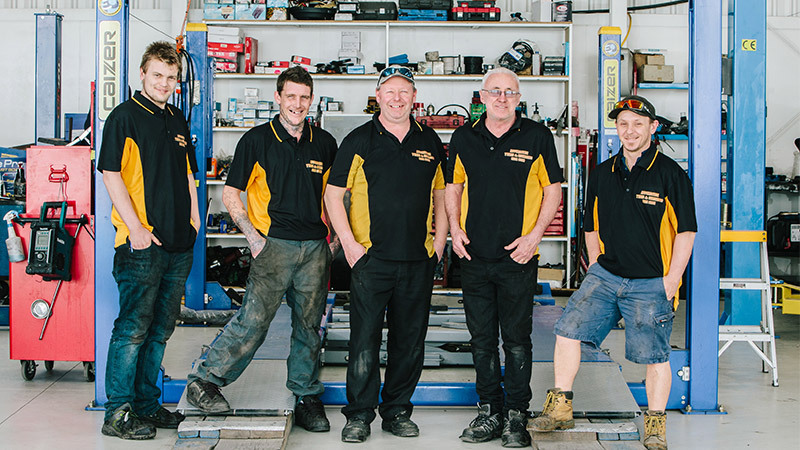 We’re here to recognise the Top Mechanics in Geelong, who went above and beyond to consistently deliver amazing service experiences to their customers. A big congratulations to Affordable Tyres & Servicing for placing as the top mechanic in Geelong. Affordable Tyres and Servicing will take care of your whole vehicle, from tyres to all your mechanical needs. They pride themselves on friendly and honest customer service. They can help with everything from tyres, brakes, steering, batteries, suspension, car servicing, mechanical repairs and wheel alignments. We service Geelong and surrounding suburbs of South Geelong, East Geelong, Belmont, Newcomb, Whittington. They’ve got a 4.6 star rating on AutoGuru, and customers have had awesome things to say! Always There Automotive offers convenience at an easy to get to location in Grovedale. Sean and the team have over 55 years of combined experience, and can carry out any kind of service or repair required. All of their team members bring a wide variety of expertise having worked on all kinds of makes and models. At all times, the team at Always There Automotive strives to achieve 100% customer satisfaction by giving them the best experience possible! They’ve achieved an awesome 4.8 star rating on AutoGuru, have a read of this great review! Travis Macdonald, franchisee at JAX Tyres Geelong says "we're a one stop shop to have your tyres, wheels, brakes and suspension completed. There is no job too large for us." Travis has considerable experience in tyre retailing, having owned stores in the area. The business is a long-established tyre specialist offering the citizens of Geelong a full range of tyre and wheel fitment and servicing, as well as associated accessories, plus steering, brake and suspension servicing. The best equipment is installed to fit large diameter and run flat tyres. They’ve been in operation for over 8 years, and have an awesome 4.8 star rating on AutoGuru. Looking for a mechanic in Geelong?